Welcome to your child’s new pediatric-focused dental home. Your child’s first appointment is very important to us. 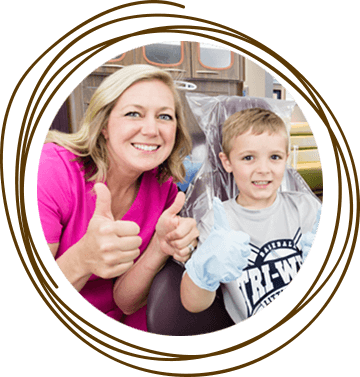 Our goal is to create a fun, supportive, non-fearful, and caring environment that allows your child to develop a positive and healthy outlook on dentistry and oral health. Your baby’s first visit is a simple visual exam to evaluate your child’s oral health and determine his/her risk for developing dental disease. A gentle prophy cleaning and fluoride application is performed by our child-friendly dental hygienist. Usually, no radiographs (x-rays) are taken at this appointment. Feel confident about your child’s care as our doctors also look for relatively common and uncommon oral conditions affecting infants that you may not have heard of, such as tongue-tie, missing teeth, abnormal teeth, inclusion cysts, natal teeth, iron stain, and more. Your cooperation is appreciated. Remember, good general health depends partly on the development of good habits, such as sensible eating, sleeping routines and exercise. Dental health also depends on good habits, such as proper brushing, regular dental visits, and good diet. These points and others can be discussed thoroughly during your child’s appointment. Parents often ask the question, “When should I bring my child in for their first visit?” According to the American Academy of Pediatric Dentistry (AAPD), your child should visit the dentist by his/her 1st birthday. The easy way to remember it is to bring them in by “First Tooth or First Birthday”. At Carmel Pediatric Dentistry, we work with families to provide the best schedule possible for their busy lives. Take advantage of our ability to schedule 3-4 siblings at a time. Getting you in, and out, and on with your day! If your child has special health care needs, trust that your team at Carmel Pediatric Dentistry makes sure to review your child’s condition and custom tailors the delivery of care to fit your child’s specific needs. Before your appointment, please call us to provide us specific details of your child’s condition (whatever information you can provide would be helpful). Rest easy knowing our team is well prepared for your child’s visit. Also, if you feel your child would benefit from a “desensitization” appointment to walk through the office and get familiar with the dental environment ahead of time, our team would be happy to assist you in getting that scheduled. Your comfort with your payment options is a major factor in your excellent dental care experience. 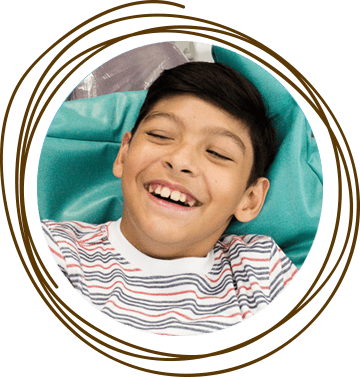 By making dentistry as affordable and convenient as possible for you, we strive to ensure your continuing satisfaction with our care of your child. You have several payment options available to help you achieve your unique financial goals. We will gladly file your insurance for you regardless of whether we are in-network or out-of-network with your particular company. If you have any questions regarding your insurance coverages, be sure to ask us during the planning phase of your child’s treatment. We are happy to help! You can sign up for CareCredit by clicking on the button below or you can also call 800-365-8295 if you would prefer to speak to someone about your options. CareCredit offers convenient payment plans that are interest-free and fee free for 6, 12 or 18 months. If you need to spread your payments out further, they have other plans with very low interest. Feel free to call our office for further details on how this plan can assist you or you can contact CareCredit directly. Q. What is a board certified pediatric dentist and why should I choose one for my child? A. By choosing a board certified pediatric dentist, you are choosing doctors who are committed to staying up to date with the latest recommendations in pediatric dentistry and practices at the highest standard of care. A board certified pediatric dentist means that not only did Dr. Carol and Dr. Katie complete an additional two years of residency training in pediatric dental care after dental school, but they also took the extra step to become board certified by the American Board of Pediatric Dentistry which requires a separate board exam and stringent continuing education requirements to maintain board status. Q. My child gets nervous for his/her dental appointment. How can I help them prepare for our visit? A. You, as a parent, play an important role in getting your child started with a good attitude toward dental care. You will want to keep talk about your child’s upcoming visit “low key” and refrain from using any words that could cause unnecessary fear, such as “needle” or “drill.” Be positive. This approach enables your child to view the upcoming dental visit as an enjoyable opportunity to stay healthy. 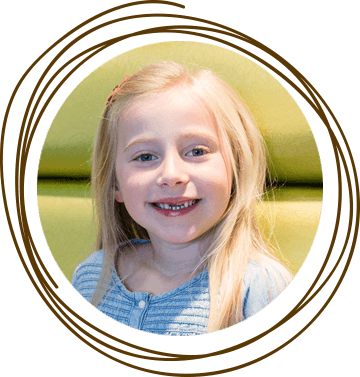 We are experienced in dealing with children with anxiety and can explain treatment procedures in a positive and pleasant manner to avoid any anxious or negative feelings toward dentistry. Q. Why is it important to take care of and fix baby teeth? Aren’t they going to fall out anyway? A. Primary “baby” teeth are designed to function throughout the childhood years. Some of your child’s baby teeth are not lost until age 12. They help in the development of face and jaws and support facial structures and tissues (just imagine grandpa without his dentures on). They are also important for eating, and chewing food to aid in proper digestion through your child’s “growing” years. Another vital function of primary teeth is holding space and guiding the permanent teeth in place. Baby teeth have relatively thin enamel (hard outer-layer of teeth) and large pulps compared with adult teeth, and can become decayed and infected (abscessed) easily. Infected baby teeth can damage your child’s adult (permanent) tooth developing below them. Healthy, decay-free primary teeth create a healthy environment for your child’s permanent teeth and reduce the chance for tooth decay. 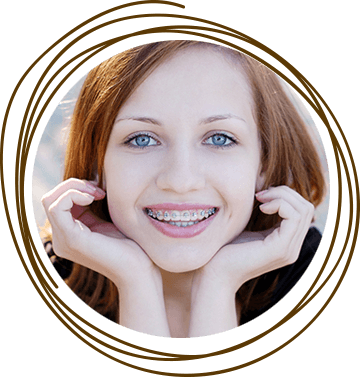 Give your child a healthy self-esteem with a healthy, beautiful smile. Q. How does fluoride prevent cavities? A. Fluoride is a naturally occurring substance found everywhere in soil, air, water, plant, and animal life. Teeth that are developing require minerals that they receive from the bloodstream. It was once believed that fluoride, when ingested and delivered systemically in the form of a supplement, is incorporated into the enamel of the tooth resulting in a mineral structure that is stronger and more cavity resistant. Although some fluoride does indeed get incorporated into your enamel when systemically delivered, it has been shown by modern research that this has a negligible effect on caries resistance. Your real benefit is derived from the topical effect. It may seem odd then that studies show that children who drink fluoridated tap water have 50% to 75% less dental disease. The real reason behind that interesting fact is due to the topical effect of the fluoridated drinking water passing through the teeth as it is swallowed or from its use during brushing and rinsing. However, too much ingested fluoride at an early age (particularly between the ages 3 to 6 years) can discolor your child’s developing teeth, making them irregular (mottled) in appearance with whitish or brownish stains. If needed, your child will enjoy up to 6 months of benefits from one application of fluoride varnish – the solely used topical fluoride treatment at Carmel Pediatric Dentistry due to its proven benefits over fluoride gels and foam. Brushing with a pea-size amount of fluoride toothpaste is also important. 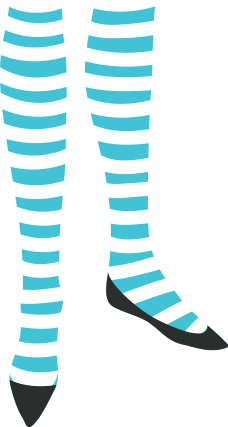 If your child is very young, only a smear of toothpaste should be used and then wiped away right after to prevent ingestion. At home fluoride rinses such as ACT mouth-rinse can provide further dental benefits as well. Q. How do sealants work and what is the process of having them placed? A. Your child’s first permanent molars appear (erupt) around age 6. These teeth have deep grooves and fissures on the chewing surfaces that can harbor cavity-causing plaque, bacteria and acids that are difficult or impossible for toothbrush bristles to reach. Your child can protect these molars with sealants, a clear composite (plastic) material that is flowed into the grooves and fissures and then instantly hardened with a special light to act as a “shield” against harmful plaque, bacteria and acids. After they are placed, your child’s sealants are checked at each 6 month check-up and touched up if necessary. Q. What causes a dental abscess and why might an antibiotic be indicated? A. A dental abscess is a pocket of infection at the base of a tooth’s root. The tooth becomes abscessed after the pulp (nerve) of the tooth becomes infected. An abscess is usually caused by deep decay or an accident (trauma to the tooth involving nerve damage). There may or may not be the presence of pain. As the infection spreads, there may be swelling in the gum tissue near the affected tooth, and a fistula (or gum boil) may develop. If the abscessed tooth is a baby tooth and left untreated, damage to the permanent tooth underneath will occur over time. A more serious problem (cellulitis) may occur with the development of swelling in the jaw or face on the side where the affected tooth is located. If left untreated, this swelling can spread upward toward the brain or downward into the neck and in rare cases can become life threatening. If your child appears to have an abscess or facial swelling, please contact Carmel Pediatric Dentistry immediately. An abscessed tooth will require either pulp therapy or an extraction. In many cases, an antibiotic will also be prescribed. If the swelling is large (easily visible simply by looking at the face) and your child has a fever and you cannot reach us immediately, please take your child to the hospital ER right away! Q. Are dental X-rays (radiographs) safe and why are they necessary for my child? A. The AAPD states that, “Radiographs are valuable aids in the oral healthcare of infants, children, adolescents, and persons with special healthcare needs. They are used to diagnose oral diseases and to monitor dentofacial development and the progress of therapy.” Dentists are unable to diagnose what they cannot see, and the risk from undetected dental problems outweighs the risk associated with exposure to dental radiographs. Dental radiographs use a very small amount of radiation to get the image your dentist needs to ensure good health. Additionally, Carmel Pediatric Dentistry utilizes digital radiographs, which use even less radiation than traditional X-rays, and they provide an instant image that can be saved electronically in our system. We will be very conscientious about minimizing the exposure of your child to radiation, which includes the use of proper shielding with lead aprons. Q. Are parents welcome in the treatment room with their child? A. Yes! In fact, we prefer that you accompany your child. We only ask that you allow your child’s attention to be on the doctor or hygienist so they can gain the confidence of your child during their visit. Q. Are thumb sucking and pacifiers harmful for my child’s teeth? A. Thumb sucking is a habit that often starts while your child is still in the womb. It is a natural instinct that helps prepare your infant for nursing. Infants and young children often use thumbs, fingers, pacifiers, or other available objects to satisfy their sucking needs. This can give your child a sense of security, happiness, and relaxation that can even lull them to sleep. Most children quit their thumb/pacifier sucking by age 3, or at least by school age (due to peer pressure). At this stage, any dental problems (tooth movement, jaw-shape changes) that have resulted from your child’s sucking habit will usually correct on its own. If your child’s thumb sucking or pacifier use continues past 4 years of age, full self-correction is far less likely, and there are possibly other issues that are perpetuating the habit that should be explored. Stress may exacerbate the thumb-sucking problem, thus scolding your child for thumb sucking is not recommended. It is better to use positive reinforcement to motivate your child to quit the habit. Finding and eliminating the source of stress can also be really helpful. 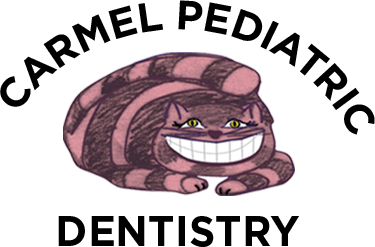 Click here for a link to our sticker chart to track your child’s habit cessation progress.